On behalf of California Families Against Solitary Confinement (CFASC), the Center for Human Rights and Constitutional Law, and others who joined an emergency conf call this evening to address the imminent vote by the California Assembly and Senate on SB 892 (Senator Hancock) dealing with the critical issue of solitary confinement, we want to inform you of the following and urge you to widely distribute this message to your email lists. 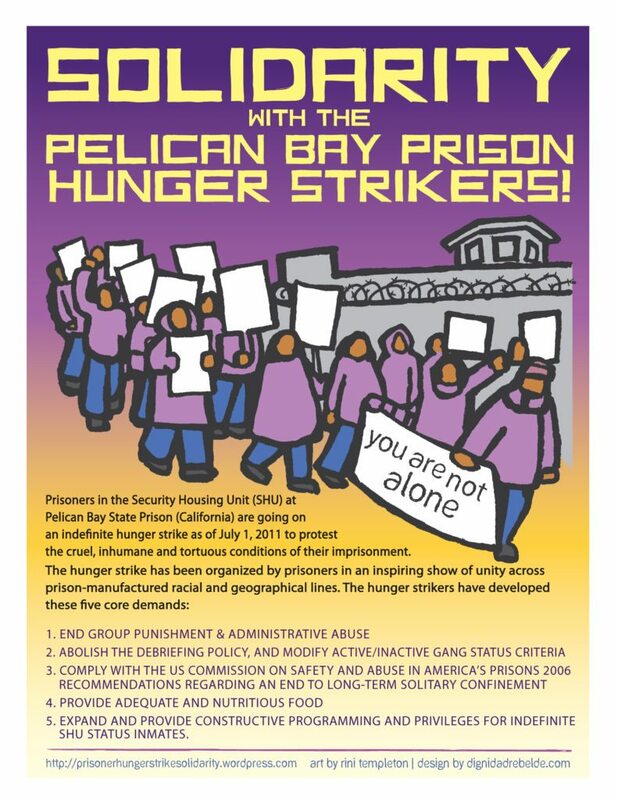 Issue: Between now and Sunday night (Aug 31), the CA Assembly and Senate will vote on SB 892, drafted by Senator Hancock, who got involved as a result of the prisoners’ hunger strike in the summer of 2013 to denounce the conditions in solitary confinement and CA’s unique “gang validation” policy. California’s Department of Corrections (CDCR) has what is probably the WORST, MOST COSTLY, AND MOST INHUMANE solitary confinement policy of any state in the country. As a result of CDCR policies, California has the largest population of prisoners in long-term solitary confinement in the U.S. and more than any other country on earth! A prisoner in CDCR’s custody commits suicide every ten days. Instead of reforming this policy–including placing prisoners who have engaged in no rule violations in long-term solitary for mere alleged gang membership (“gang validation policy”)–SB 892 for the first time in history adopts this draconian policy into state law. The Opposition: The four prisoner reps who initiated the 2011 and 2013 hunger strikes have jointly opposed SB 892. Hit this link to download their letter to the legislature. About 130 organizations and community leaders have written to the Senate and Assembly leaders explaining why they oppose SB 892. Hit this link to download their letter. Link also below. Among many others, organizations opposing SB 892 include CFASC (family members of prisoners), Prisoner Hunger Strike Solidarity Coalition, League of United Latin American Citizens (LULAC), Mexican American Political Association (MAPA), Council on American-Islamic Relations – California (CAIR), Disability Rights Education & Defense Fund (DREDF), Homeboy Industries, Homies Unidos, California Prison Watch, Asian Law Caucus, National Lawyers Guild (SF and LA Chapters), the William C. Velasquez Institute (WCVI), Families to Amend California’s Three Strikes and Hermandad Mexicana Humanitarian Foundation. See attached. Please immediately forward this email to your constituents. Oakland—A bill designed to bring about reforms to the California’s internationally condemned use of indefinite solitary confinement, passed its first hurdle yesterday by a 4 to 2 vote (with one abstention) in the State Assembly’s Public Safety Committee. Assembly Member Tom Ammiano authored AB 1652 in response to the historic hunger strike last summer that included the participation of 30,000 prisoners in the majority of the California’s sprawling prison system. Some of the strikers refused food for 60 days. 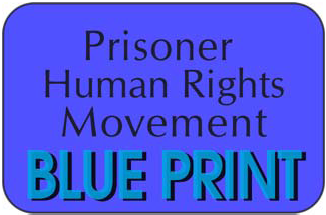 The prisoners agreed to suspend their hunger strike on September 5, 2013, with the promise of legislative hearings on the use and conditions of solitary confinement in California’s prisons. The bill could bring very significant changes to California’s use of solitary confinement. AB1652 would prohibit the use of solitary except for 14 very serious offenses, and would set a cap on the solitary term to 5 years. AB 1652 would effectively end the bitterly contested practice of “gang validation” that has led to thousands of prisoners serving indefinite sentences in solitary based merely on association with other prisoners. Click on the image below for the California Channel recording of the February 11 Joint Informational Hearing on CDCRs Proposed New Policies on Inmate Segregation by the Assembly and Senate Public Safety Committees, three-and-a-half-hour gavel to gavel coverage. The following links are broadcast quality audio excerpts from the hearing. The public comments are particularly valuable.